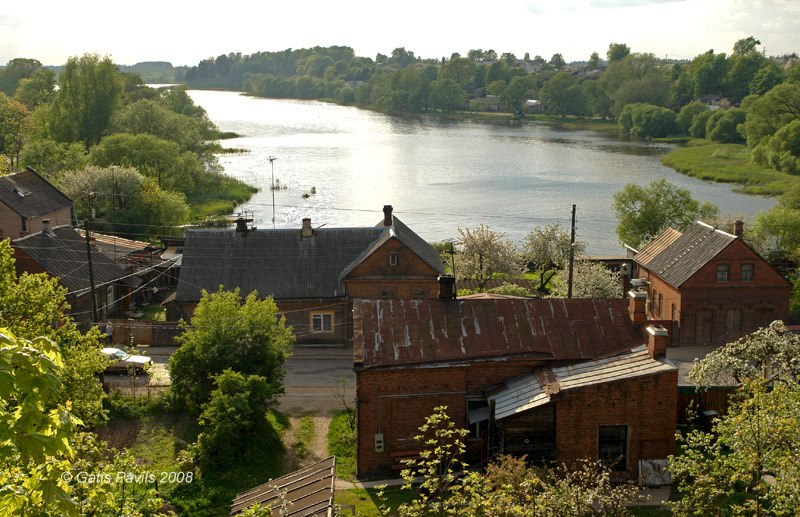 Ludza is one of the oldest towns in Latgale, mentioned in written sources since 1177. Livonian Order at the end of 14th century in the former hillfort of Latgallians built enormous castle which guarded eastern borders of Livonian state. 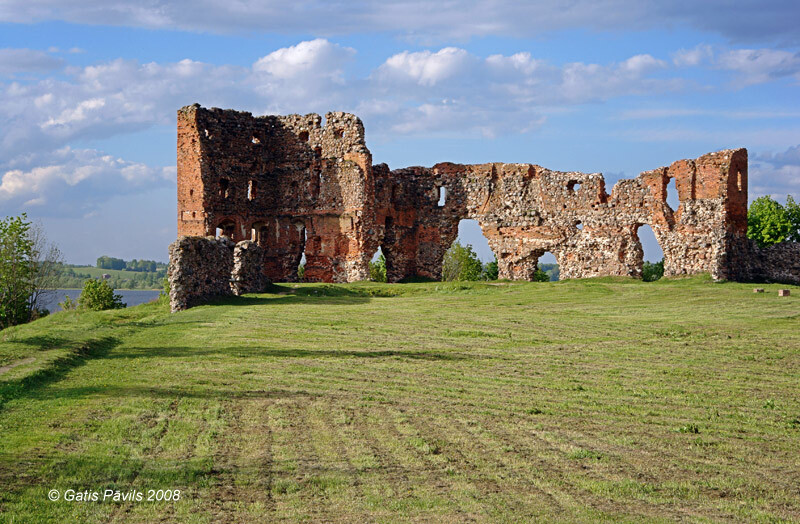 In spite of this Ludza town heavily suffered in wars and the only visible testimony of medieval times are ruins of the castle. 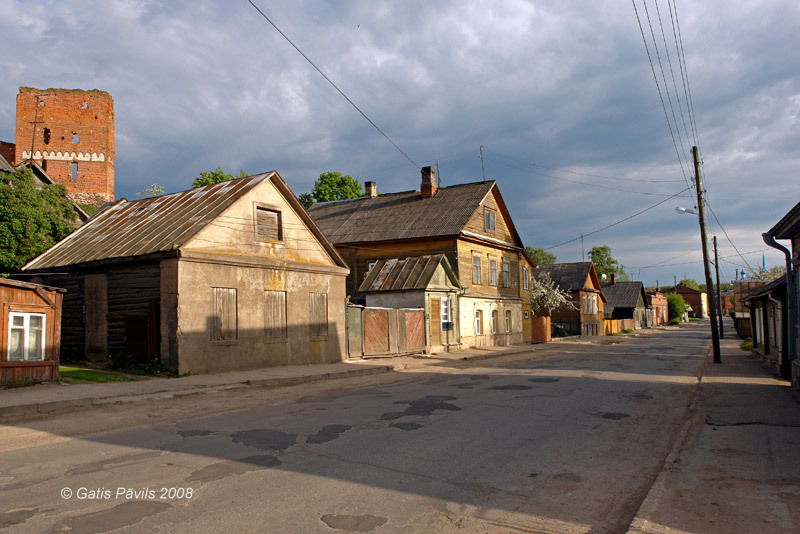 Ludza is one of the most characteristic towns in Latgale region. Town is not affluent - this unfortunately is seen on every step. 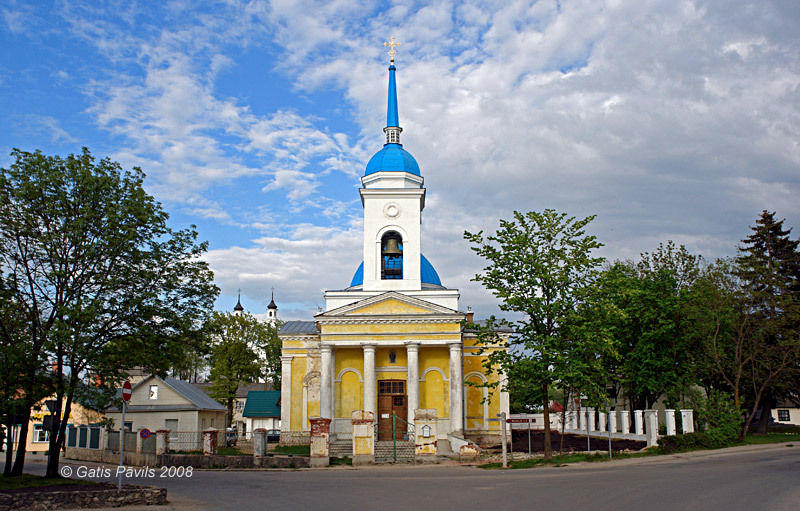 Still the initiative of local people has given interesting results worth to see - there has been newly built beautiful Catholic church, town has got also an cosy, excellent open-air museum, here are located quite a few interesting houses from late 19th - early 20th century. 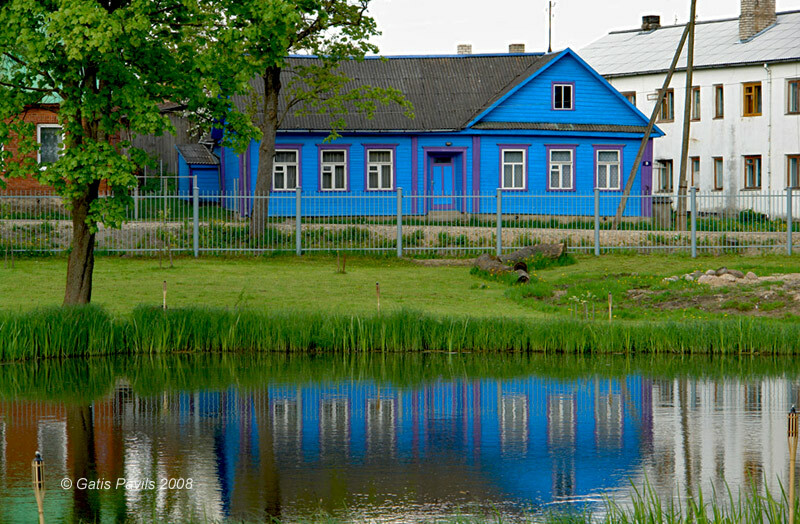 Little Ludza Lake - one of the several lakes in town. Ruins of the castle from late 14th century. 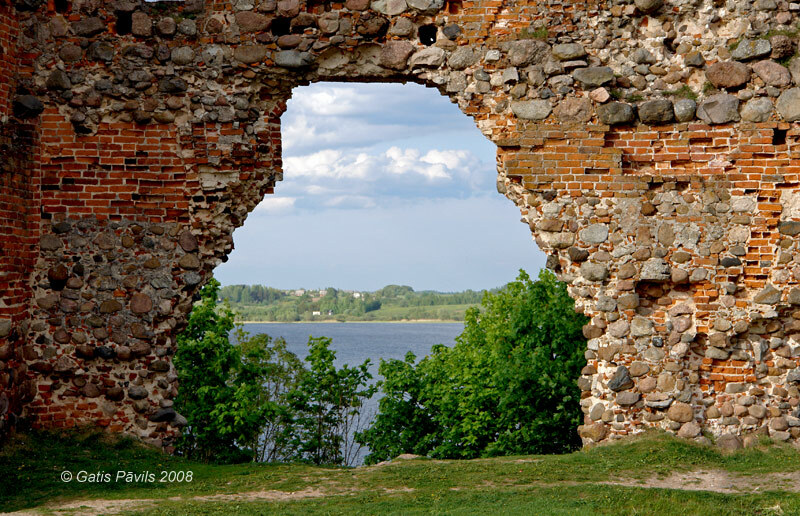 Ludza castle ruins and Big Ludza Lake. Talavija Street. Castle ruins in the background. 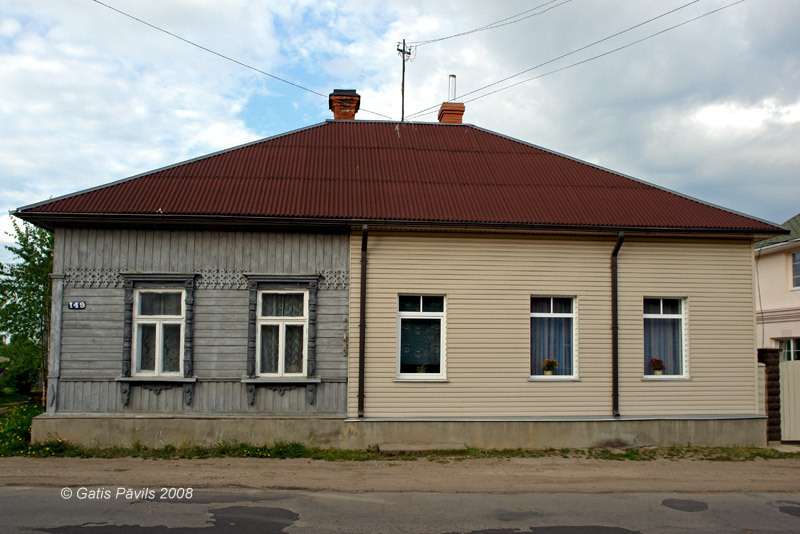 House on Kulneva Street. People from other regions of Latvia find such color choice very exotic. 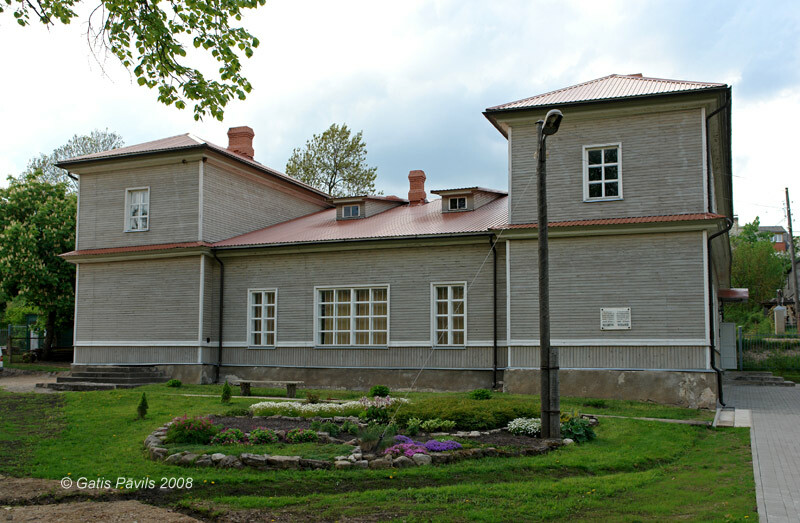 Ludza museum is located in the house of Napoleon war heroe Yakov Kulnev. 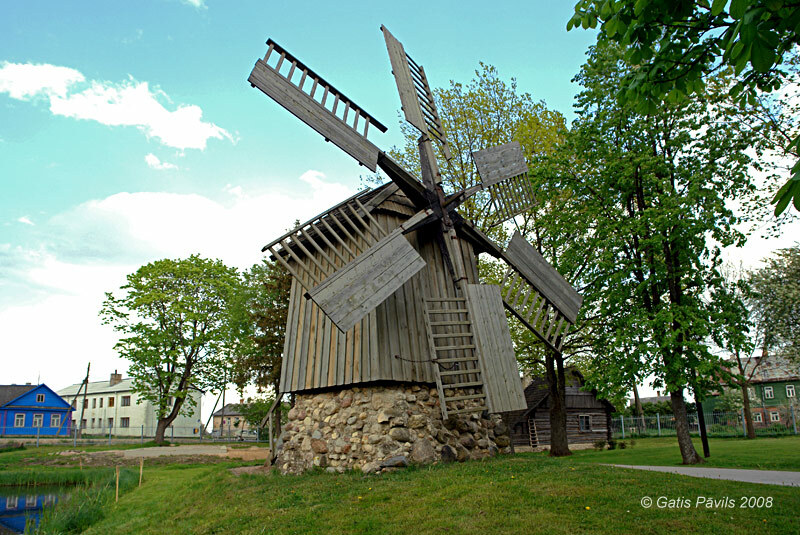 Barisi windmill in Ludza museum brought from nearby countryside in 1949. 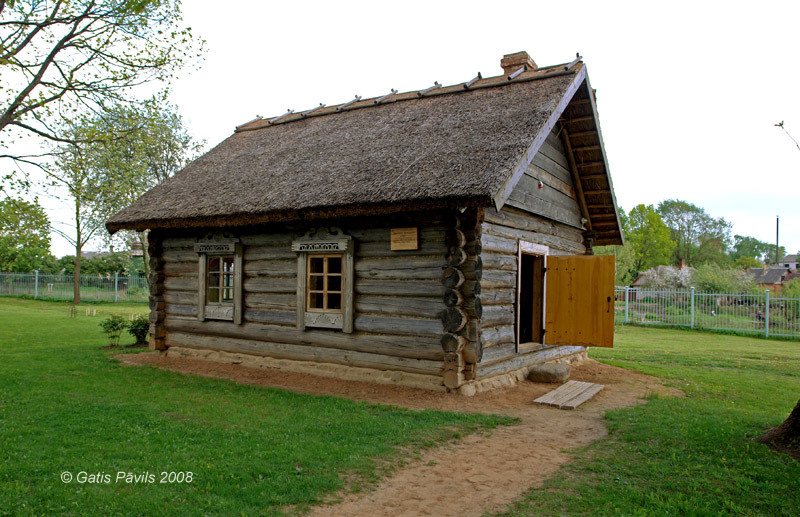 Farmer's house from Voloji village in Ludza museum. 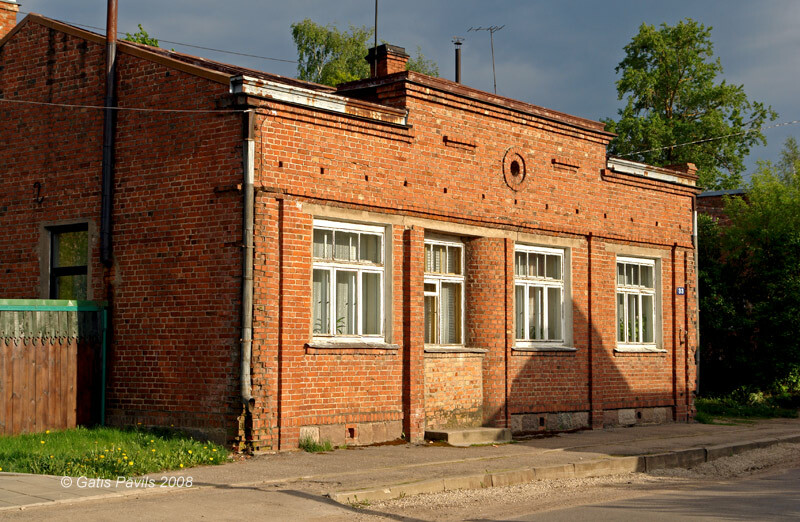 House in Functionalism - Art Deco styles, Talavijas Street 33. 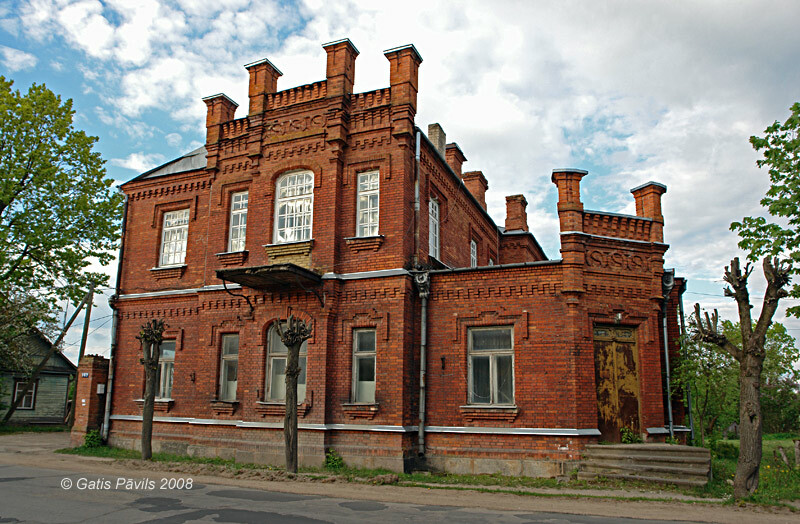 Neo-Gothic style building in Latgales Street 147. House after repairs in Latgales Street 149. Progress? 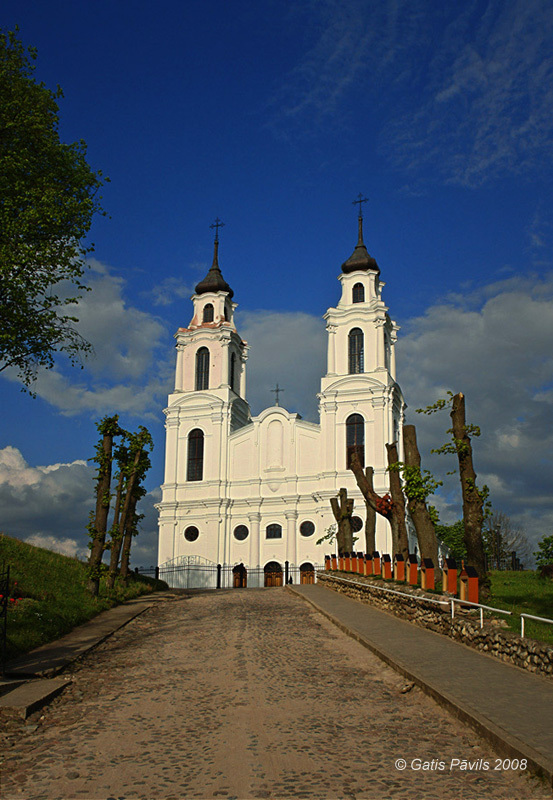 The beautiful Ludza Catholic church complete recently - in 1995. 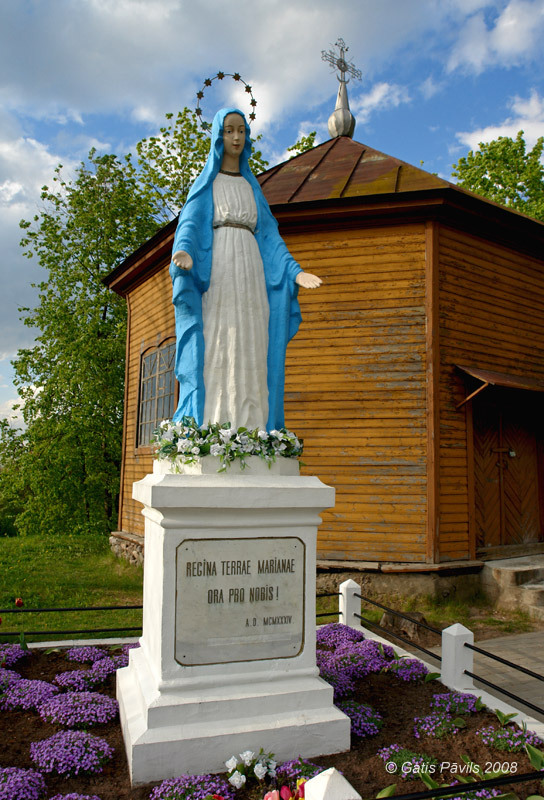 Statue of Ludza Virgin in location where it has appeared, erected in 1934. Pictures taken in 17th May 2008.